Parking.com has convenient parking for all LA Sparks home games at the Staples Center. 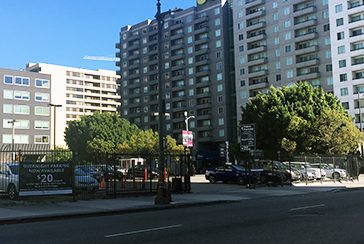 Parking is available at various locations throughout downtown Los Angeles. For more information on nearby parking, click on the map shown for parking rates, entrances, and hours of operation. The Los Angeles Sparks play for the Western Conference of the WNBA, and is one of the most successful franchises in the league. The Sparks play their home games at the Staples Center, which they share with the LA Lakers, LA Clippers, and LA Kings.